"Venture Mom: From Idea to Income in Just 12 Weeks" is a guide to hacking the business owner for the mom who has a profitable talent or skill, but hasn't unleashed her full potential yet. The book guides prospective "mompreneurs" through the a 12-week program designed to help them plan and market a small business that is centered around their unique abilities, schedule, and personal interests. Try adding moms to that group. In her aptly named book, “Venture Mom: From Ideas to Income in 12 Weeks,” Holly Hurd promises to help any mom build a profitable business out of their everyday hobbies, interests or talents in just 12 weeks. “Venture Mom” offers a first-hand look and a particularly clear step-by-step guide to “mommy” entrepreneurship. The guide is based, in part, on the author’s own experience as a mom turned business owner. 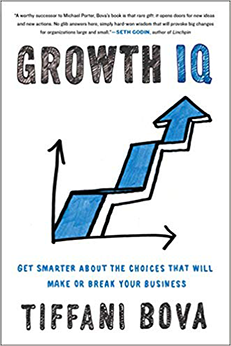 As a result, you get a book that is part anecdotal, part expert advice, and part business hacking manual. Hurd dispenses with a lot of the traditional business advice that states you have to complete mounds of paperwork to plan, research, and fund your business. Instead, “Venture Mom” asks readers to find the internal and external resources in their current life now that could make them profitable. In response to the typical business plan, in “Venture Mom” Hurd offers a simplistic, but highly specific 12-week plan to research an idea, build products and services, and market them. Hurd is mindful of the many obstacles a potential mom will face in completing her plan. For example, she realizes that a mom who is good at crafting may not have the tech savvy to build a fancy website. Build a website (even if it’s just one page) for now, and add to it as time or profits allow. The success stories in “Venture Mom” also characterize the entrepreneur Hurd is trying to reach. She doesn’t focus on moms who make the magazine and newspaper headlines. She focuses on the mom who made incredible cookies and decided to sell them at bake sales and then on a website. Hurd (@VentureMom) is an author, business consultant, and speaker who began her journey into women’s entrepreneurship after collecting stories of moms who grew into entrepreneurship on their own way. The best part of the book is the straightforward, step-by-step business advice that comes from a rising expert in the field of moms and entrepreneurship. Holly Hurd understands the demands and realities of a mom trying to juggle a business and delivers a book that speaks to that reality. Identifying more of the obstacles that a mom might face. Providing more examples of failed business attempts and how readers can avoid those mistakes. Providing more advice on how to keep track of accounting and bookkeeping. 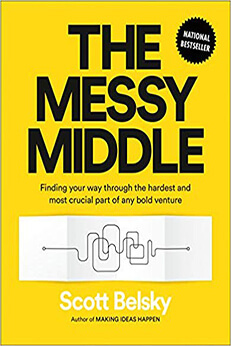 Although the book focuses on moms, the advice can be applied to any individual who needs or wants to “bootstrap” or “hack” their way into entrepreneurship. “Venture Mom” is a business book that speaks to the reluctant entrepreneur, who, for one reason or another, feels unready to move forward. If you happen to be a mom, Holly Hurd’s advice, based on her own experience, provides a quicker and more creative path to business ownership than the typical “how to plan a business” book.